All home remodeling trends come and go, but when you’re talking about the most trafficked room of the house, some say the heart of the home, it’s vital to know what others are doing in case you ever decide to sell. 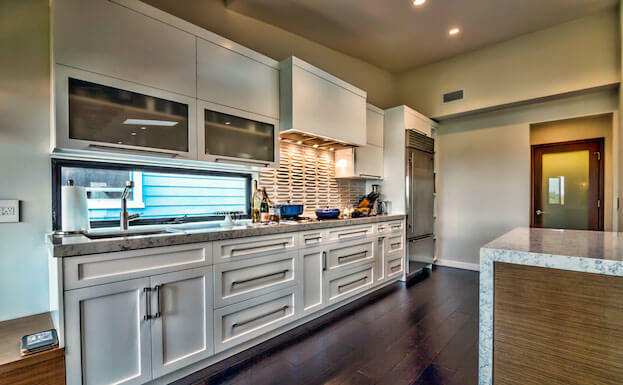 Kitchen cabinet trends have not changed as much as other areas around the kitchen, such as kitchen countertops, but a few dominant trends have taken shape in 2015. Fortunately enough, many experts agree that most of the kitchen cabinet trends discussed below are not going away in 2016. First and foremost, despite any of these trends, many homeowners are adding cabinet styles, colors and functions that fit their needs and desires. 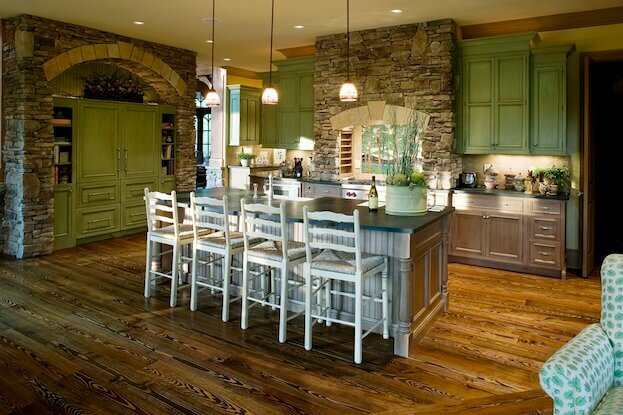 As time has evolved, cabinet companies have come up with numerous styles that match any home design or style. As a result, even homeowners who can afford them are passing over custom cabinets for more affordable, yet design-friendly, semi-custom cabinets. 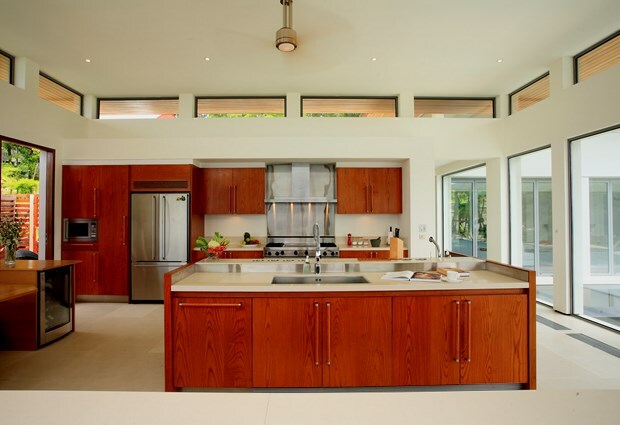 Overall, in today’s world, there is no cookie-cutter kitchen cabinet design. 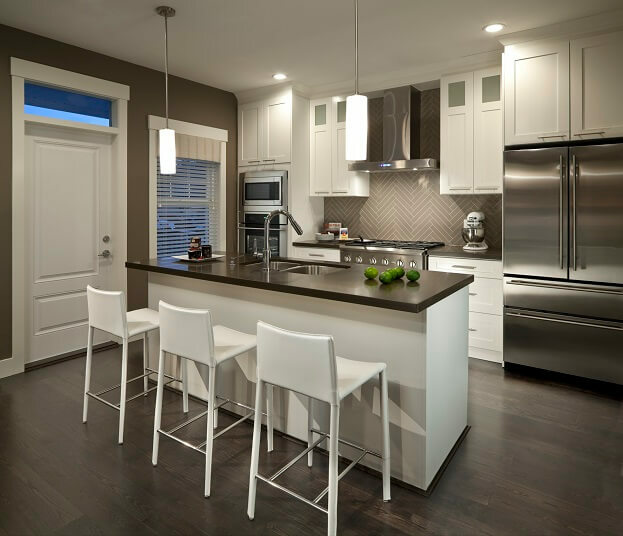 Ask any kitchen expert for hot designs and they will almost certainly say that personalization and tailored designs are sticking around through 2015, into 2016. Matching another kitchen remodeling trend, clean lines go perfectly with black and white kitchens. 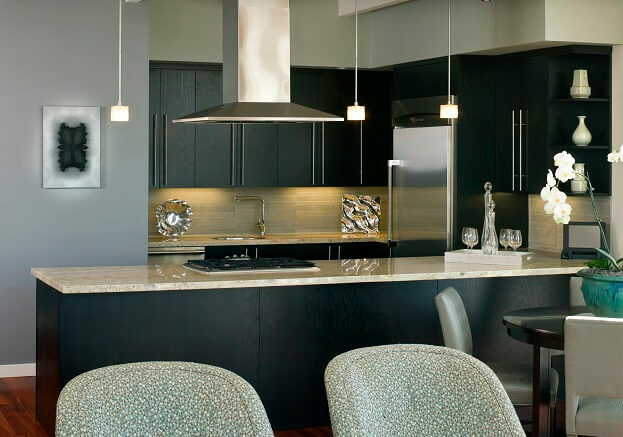 As I noted in Kitchen Remodeling Trends For 2015-16, black and white kitchens tend to offset each other and give the kitchen a clean, sleek and visually appealing design. Clean lines, along with black and white kitchens, can also offset the tension between rustic, modern and transitional kitchens. One way to install terrific shaker cabinets is by using premium quality wood. With its simple design, shaker cabinets let the wood or material do the talking. Just like a knife does the work when you’re cutting an onion, the wood tends to speak the loudest when it comes to shaker cabinets. Just how prevalent are shaker cabinets? “Ninety-nine percent of the time, it’s a white painted-wood shaker door with a square picture and simple recessed center,” Anthony Maucieri, president of East Hill Cabinetry said. Along with the clean line theme, white kitchen cabinets are still quite popular, as you saw above, but gray, along with other neutral colors have began to set up shop. Many homeowners are opting for refined neutral colors and earthy tones that work well with a variety of design elements. These colors not only provide a sense of warmth, but give you more design freedom to add bold colors elsewhere, providing a seamless blend throughout the house. If you don’t want to replace your kitchen cabinets, but want to add a different pop of color, try painting. We even outlined the Best Way To Paint Kitchen Cabinets. Install a toe-kick drawer under your lower cabinets. Add containers or extra drawers above your upper cabinets. Install a Lazy Susan in your corner cabinet (helps with your back). We could all use more kitchen storage and these four ideas ensure that not matter what size your kitchen may be, no item will be left behind. Squares and vertical rectangles are still the preferred designs for kitchen cabinets, but according to Masterbrand Cabinets, Inc., there is a rise in horizontal cabinetry. 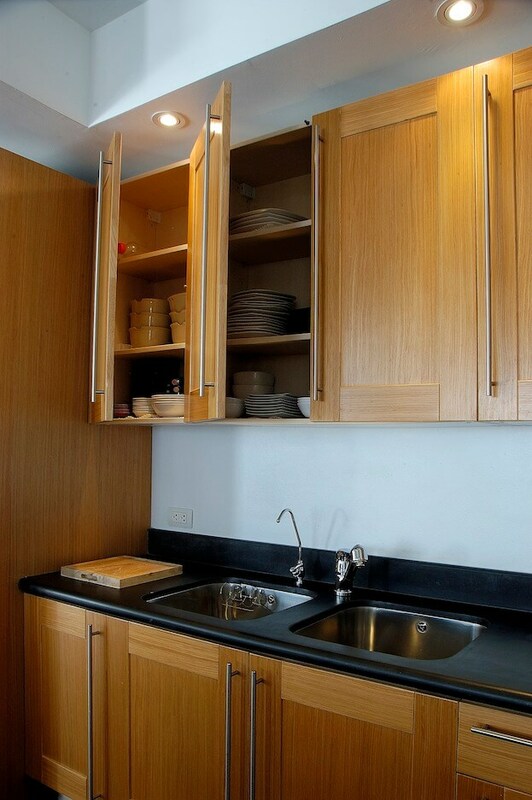 As cabinets get wider, there is less of a need to stack cabinets (if you have enough storage). This not only makes access much easier, but gives your kitchen a cleaner, more refined look. 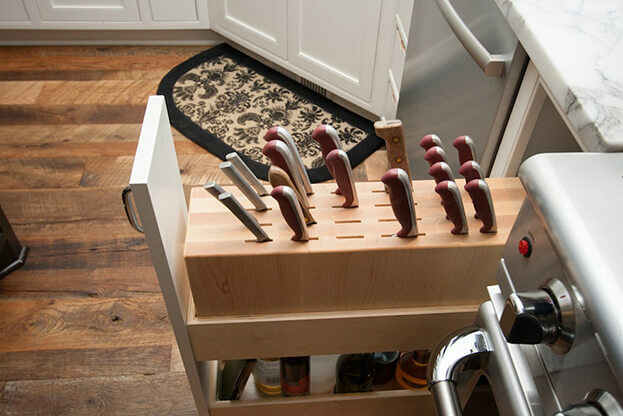 If you’re looking for more organization, you can also add drawer inserts to declutter all those pots, pans and numerous other kitchen utensils you have. We live in a new world where we are always connected and kitchen designers have taken that to heart. 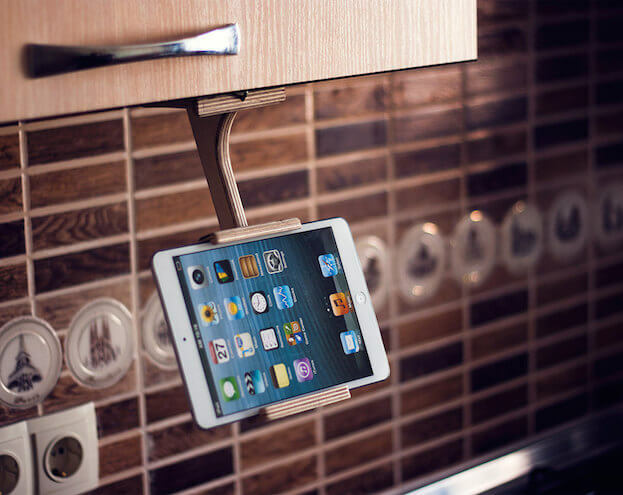 As a result, many homeowners are adding a tech perspective to their kitchen cabinets such as built-in charging stations, hands-free functionality and tablet holders. These additions, along with other innovative kitchen additions, have made living in the 21st century that much easier. Trends are trends because more and more people agree it is the right way to go. However, as I pointed out before, personalized cabinets and kitchens will never go away. One must feel comfortable in your own kitchen and as such, install kitchen cabinets that feel right to you and only you. Does it add value to my home to add an in-law apartment?